Motorola has rolled out Android Marshmallow update for Moto X 2nd Gen (Moto X 2014) and Moto X Style in a few regions. The Android Marshmallow update for Moto X (Moto X 2014, Moto X Style and Moto X Pure edition) will be available in almost all regions by the end of 2015. This post will help you understand the new features in Android Marshmallow update for Moto X (Moto X 2014, Moto X Style and Moto X Pure edition). 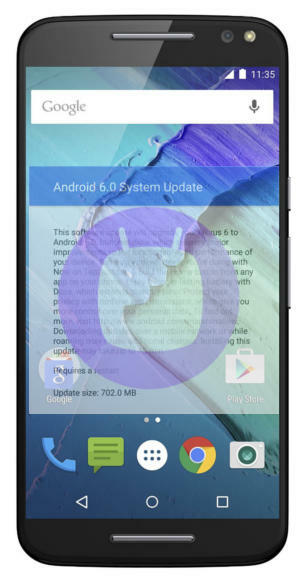 For more guides on Android Marshmallow 6.0, please check this Android Marshmallow guide page. One of the noteworthy new features in Android Marshmallow update for Moto X is the new doze mode. Doze mode helps to preserve battery life of your Moto X automatically when it is not being used. When your Moto X is stationary, not charging and not in use for a long period of time, Doze mode shuts down unnecessary background processes automatically. This can increase the standby time of your Moto X substantially. The better news is that Doze mode is enabled automatically and you need not do anything. It is a built-in feature of Android Marshmallow 6. When you exit from an app, the app actually may be still in memory so that you can quickly re-access it. For some apps, you can even continue the previous session. This makes your Android device very responsive and efficient without reloading the app. Android will decide whether the app is kept in the memory or not based on the available resources. 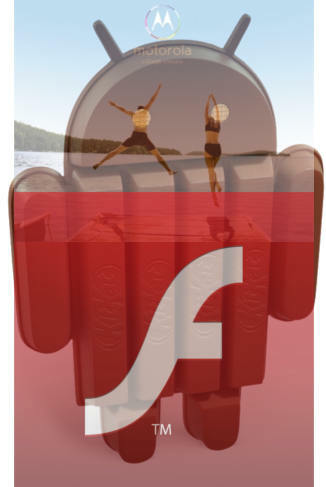 But some buggy apps may cause battery drain if it is not fully “frozen”. App standby in Android Marshmallow update for Moto X will address this issue for such apps. Moto X 2015 is the third generation of Moto X. And Motorola brought 3 models for the public: Moto X Pure edition (for USA), Moto X Style (for other regions except USA), and Moto X Play. As explained in this post, Moto X Pure edition and Moto X Style are twin brothers heading to different regions (US or international markets). Moto X Play is a scaled-down version Moto X Style. Now, the question is what are the improvements and new features in Moto X 2015 vs Moto X 2014. This post will try to answer the question of Moto X 2015 vs Moto X 2014 to help you decide whether you should upgrade to Moto X 2015 (Moto X 3rd gen) if you own a Moto X or Moto X 2014 (Moto X 2nd gen). Motorola finally changed mind on the stance on SD card support. Moto X 2015 supports micro SD card up to 128GB. You can instantly expand additional 128GB storage at around $60 for your Moto X 2015. Although, SD card is not often used, a lot of smartphone owners still prefer some “backup” options. You may need it one day. Some Android vendors are going the opposite (and surely wrong) direction. For example, Samsung removed the micro SD card support in Galaxy Note 5, Galaxy S6 and Galaxy S6 edge+. The weaker-than-expected sales of Galaxy S6 and Note 5 already make it clear that Samsung is wrong. micro SD card is seldom used. Samsung was misled by such experts. The survey may be legitimate. But the issue is that most owners think they may use it some day. Just like airbags in your car, you probably never use it. But if car manufacture removes it, will you still buy the car? Samsung now probably knows the answer. Moto X Pure edition, Moto X Style and Moto X Play: which one is for you? Moto X Pure edition vs Moto X Style vs Moto X Play: what are the major differences, and which one is made for you? For Moto X 3rd Gen (or Moto X 2015), Motorola announced 3 models: Moto X Pure edition, Moto X Style and Moto X Play, instead of just one model as Moto X and Moto X 2nd Gen (Moto X 2014). Some Moto X owners and potential Moto X buyers are confused about which Moto X is for them. This post will try to explain to you the major differences of these 3 models of Moto X 3rd Gen (Moto X 2015) to help you make a better decision. For user manuals of Moto X Pure edition, Moto X Style and Moto X Play, please check this page. The most confusing two products are Moto X Pure edition and Moto X Style. The hardware specs for Moto X Pure edition and Moto X Style are almost identical. The differences between Moto X Pure edition and Moto X Style include: software and availability. Both Moto X Pure edition and Moto X Style will come with Android Lollipop 5.1. Moto X Pure edition will be a pure Motorola phone without any bloatware or customization from carriers. This also implies Moto X Pure edition will work on all carriers, and most other regions when you travel abroad as well. Moto X Style, however, will be tailored for different regions and carriers. Some LTE bands and some features may be disabled in some regions, and therefore Moto X Style may not work well (mainly 4G and a few carrier specific features) in other regions. Please note, “pure edition” does NOT mean Moto X Pure edition is running stock Android like Nexus phone. “Pure edition” simply means pure Motorola software, and there is no carrier customization. 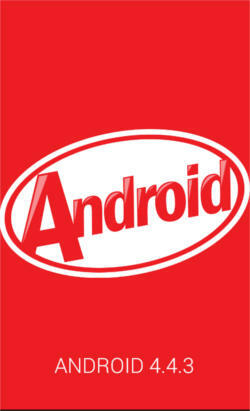 Of course, Motorola software is very close to stock Android. There are a few Moto apps pre-installed, for example, Motorola Assist, Motorola Alert, Motorola camera, and Motorola Gallery. If you are currently an owner of Moto X or Moto X 2nd Gen, you will get similar Moto experience. Motorola Assist does not read messages, how to fix it? Update: Motorola just updated Motorola Assist app. The problem discussed in this post was solved in this update. So, if you still have problems to get Motorola Assist to read messages in Home mode or Driving mode, please try to update the Motorola Assist app from Play Store. Recent Google app update broke some features in Motorola Assist. Specifically, after Moto Assist asks you to say listen, it does not response to any voice input and the phone may make noises itself. This guide is specific for this issue before Motorola updates the Motorola Assist app. If you have other issues with Motorola Assist, please discuss them here. This guide works for Moto X, Moto X 2nd Gen (Moto X 2014), Moto G, Moto G 2nd Gen (Moto G 2014) and Moto E, because they share the identical Motorola Assist app. What are the symptoms of this Motorola Assist not reading message issue? The issue is caused by the recent update of Google App on January 12, 2015. This update breaks the messaging voice interaction feature in Motorola Assist when in driving or home mode. Motorola Assist can switch to Driving mode (Driving Assist) and Home mode (Home Assist) correctly. Incoming messages and calls are announced properly. Incoming calls are not affected. You can say Answer or Ignore to pick up the phone or hang up the phone. You get noise after it asks you to “say listen” or “say send text”. It does not respond to your voice command. Basically, you cannot listen message or reply text messages in home and driving modes. The version of Google App in your phone is 4.1.24.1672412.arm. Please note, the issue is caused by Google app. But probably Motorola has to fix the issue in the Motorola Assist app. Before Motorola releases the update for Motorola Assist, you can only solve the issue by uninstalling updates for Google app. Moto X 2nd generation VS Moto X 1st generation: What’s new in the new Moto X (Moto X 2014) ? 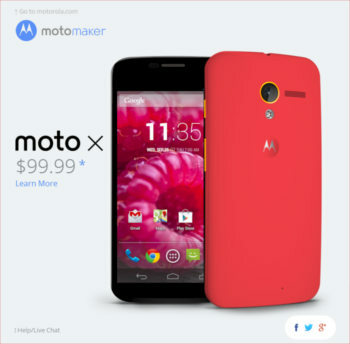 The new Moto X, a successor for Moto X 2013 was announced early this month. 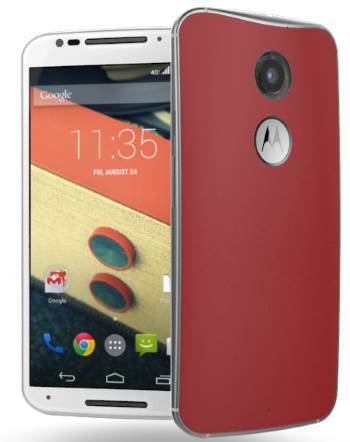 You can pre-order this new Moto X (aka Moto X 2nd generation) from today.. Some Moto X owners are curious about what’s new in the new Moto X (Moto X 2nd generation). This post will give you the answer. First, the official name of the new Moto X is Moto X 2nd generation (Moto X 2nd Gen), not Moto X+1 as rumored. 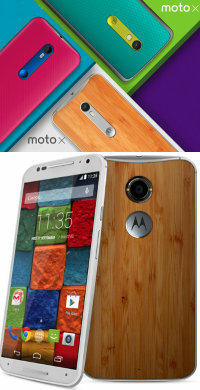 Of course, many may just call it Moto X 2014. Let’s check the comparison of Moto X 2nd generation vs Moto X 1st generation. One of the biggest mistake preventing Moto X (1st Gen.) to get the deserved popularity is the stupid pricing strategy for the old Moto X in last year. Although almost all potential buyers are excited with the unique features in Moto X 1st generation: touchless control (now it is re-branded as Moto Voice), Motorola Assist, Active Display and possible customization (through Moto Maker), they did not become a Moto X owner due to the wrong pricing strategy as analysed in this post: Why Moto X failed to save Motorola? Moto X 1st generation was packed with middle-range hardware (with best software). The pricing Motorola asked is that for the smartphones with top-notch hardware. For the new Moto X (Moto X 2nd generation), Motorola apparently corrects this mistake. The most advanced and high quality hardware, with the best (arguable) Android experience, is asking for a cheaper price! The contract-free, unlocked 2nd generation Moto X (Moto X Pure edition) starts from $499. This is one of the most affordable flagship phones in 2014. The new Moto X (Moto X 2nd generation) got a big update in processor and graphics. It is at least 3 times faster than 1st generation Moto X.
What’s new in Moto X KitKat 4.4.3 update? KitKat 4.4.3 is coming to Moto X! T-Mobile and Sprint customers should get the Moto X KitKat 4.4.3 update already. Others will get it soon. Moto X KitKat 4.4.3 update is mainly on bug fixes and framework update. So, you probably will not notice any difference after the update. Actually, there are few notable features or improvement you should try in this Moto X KitKat 4.4.3 update. Motorola Alert is an extremely useful emergency alert app that lets you quickly alert people important to you when you need them. It was initially released as an exclusive app for Moto E. Now it works with Moot X and Moto G as well. Motorola Alert is also an location reminding app. The Follow Me and Meet Me modes are useful in notifying your whereabouts to your loved ones. One feature missed in Moot X camera app is the pause button. When recording a video with Moto X, you had no way to pause the recording. You had to stop it and started a new video if you actually just wanted to pause the recording for a few seconds. This made the user interface of the camera app very simple and clean. But omitting the pause button irritated some Moto X owners. A lot of users are not sure how to combine a few videos into one, although it is trivial for nerds. In this Moto X KitKat 4.4.3 update, Motorola brings back this pause button for video recording. Moto X has a quite fast camera. Although the image quality is not outstanding, the photos are usually acceptable with all default settings. In other words, you get decent pictures without fiddling around the camera settings and options. Why Moto X failed to save Motorola? 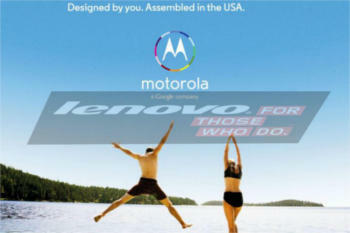 Lenovo’s $2.91 billion acquisition of Motorola will be approved soon. Motorola Mobility, a Google company, will soon become a Lenovo company. Moto X, the last bet of Motorola, failed to rescue Motorola from being sold. Bye bye Motorola! It is a tragedy for all our Moto X fans. After 6 months, Moto X is still unique and attractive, compared to recently announced Samsung Galaxy S5 and SonyXperia Z2. But why did Moto X fail to fly? I believe you may have the same question. The tagline of Moto X is “The only smartphone assembled in the U.S.A” or “The first smartphone designed, engineered and assembled in the USA”. It is a smart marketing strategy for US market. But it is not a good sales strategy if you make it “the only smartphone that are exclusive to USA (and Canada)“. After Motorola was bought by Google, most international operations stopped. This may save cost, but reducing sales and marketing power in such regions also means giving up such markets. Moto X got excellent reviews from most technical media and geeks. But the reception of US consumers is another story. The sales of Moto X in US is far below the expectations from the launch day. At the same time, a lot of international consumers are excited about this phone,but it is not available for them. Technical difficulties in touchless control for non-English languages are just an excuse. Please remember voice command with non-English languages had been used in many old smartphones. Even for British English, it tooks Motorola 3-4 months to figure out. Putting all eggs in one basket! Even your grandma knows this is not a good idea. But these well-paid MBAs ignore this simple principle. After more than 6 months, Moto X finally will go to more non-USA regions. But who cares about a 6-month-old smartphone when the life cycle of the smartphone is just about 12 months? The hardware specs put Moto X among the middle range smartphones. 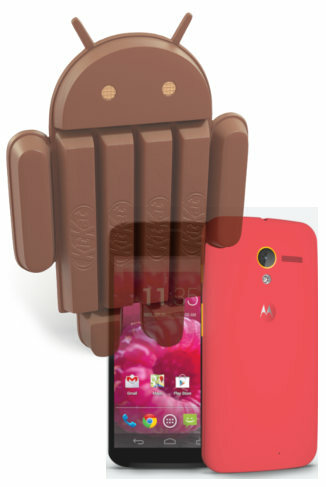 Android 4.4 (KitKat) update for Moto X is really a sweet treat for all Moto X owners. Most of us are enjoying the new and improved features in our Moto X after the KitKat update. 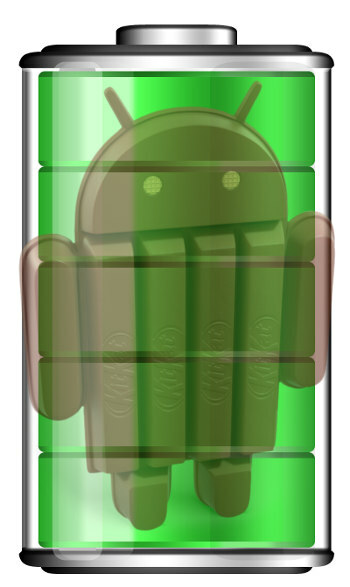 However, some users reported battery drain problems (i.e., shorter battery life) after the Android 4.4 update. They noticed the battery percentage drops faster than that before the update. For example, after 8 hours normal usage, your Moto X now reports less than 15% juice left. But you remeber before the KitKat update, you used to get about 30% left when reaching home. It seems your Moto X drains battery faster after the Android 4.4 update. Why does the battery life of Moto X become shorter after the KitKat update? Is something wrong with the Android 4.4? or is something wrong with the Moto X battery? The answer is: there is nothing wrong with the Android 4.4 (KitKat) or Moto X. Most of the time, it is just battery calibration issue. Of course, it occasionally may be caused by some crappy apps. So if you are facing this battery life issue or you feel the Moto X drains battery faster now, you may just follow the following 4 steps top solve the battery life issues for your Moto X. Step 4: Charge your Moto X for 3-4 hours without powering it on. Step 5: Power on your Moto X, and use it as normal. Why need I drain the battery completely? It sounds stupid that your Moto X has to “guess”, not measure, the juice left. But this is the reality for all smartphones today. Motorola rolled out the first major software update for Moto X (139.12.57.ghost_row.Retail.en.US). Significant improvements are expected. So, it is recommended to apply this update. Although this update is for T-Mobile Moto X users, users in other networks will receive similar update in a few days (up to a few weeks). The update is delivered through OTA. If you did not receive the update notification, you can go to Settings–About Phone–Software updates. Before downloading and installing, you should backup any important info/files. Hope you enjoy the update.